Last week the United Nations Security Council banned the sale of smuggled antiquities from Syria as it said it was helping IS to pay for recruitment and terrorist attacks. Some looted treasures have been seized by the authorities in neighbouring Lebanon. They are stored inside Beirut's National museum waiting to be sent back to Syria. 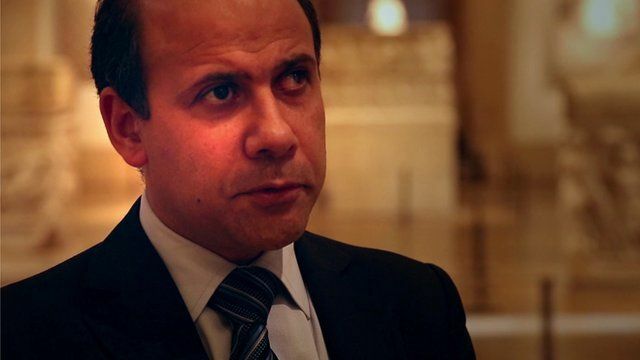 Dr Assaad Seif, an archaeologist and head of excavations at the directorate general of antiquities, told the BBC's Simon Cox some works of art would sell for $1m on the open market.